If you want to spend your holidays in Kastelruth, we welcome you with open arms. Since we want to offer our guests peace and relaxation, we have three apartments in the Apartments Kastelruth. So we guarantee a relaxed atmosphere away from tourist crowds. If our Apartments Kastelruth are booked to your desired date, you do not need to worry. We will gladly provide you with an apartment in the Gertrud House. 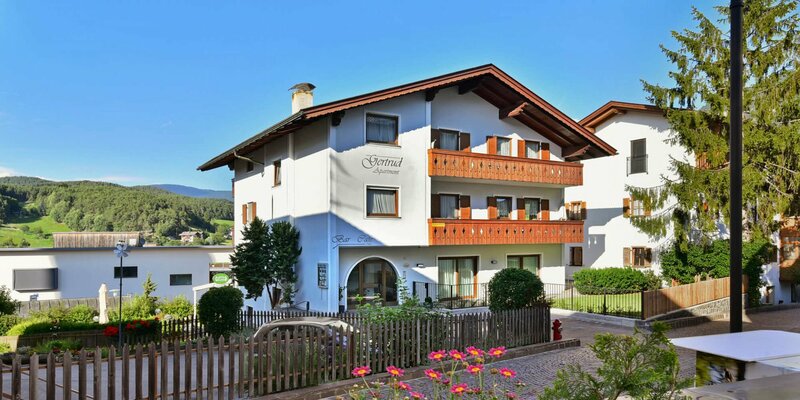 The holiday house Apartments Gertrud is only about 70m away from our accommodation. 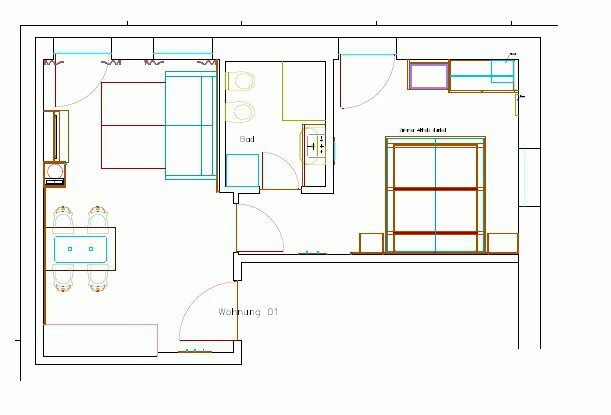 Here you will find equally spacious and modern apartments as by us and will be welcome in the friendly family business in the same warm way. In addition, you have the opportunity to taste and enjoy the in-house Café Gertrud. In the daytime café and the near terrace you can order coffee or tea, delicious desserts, ice cream and a glass of wine or a cool beer. Lean back and enjoy the taste of the dishes served and the wonderful ambience. Get to know the other guests and make arrangements for a hike or an excursion together. On holiday, the most beautiful friendships are often closed. 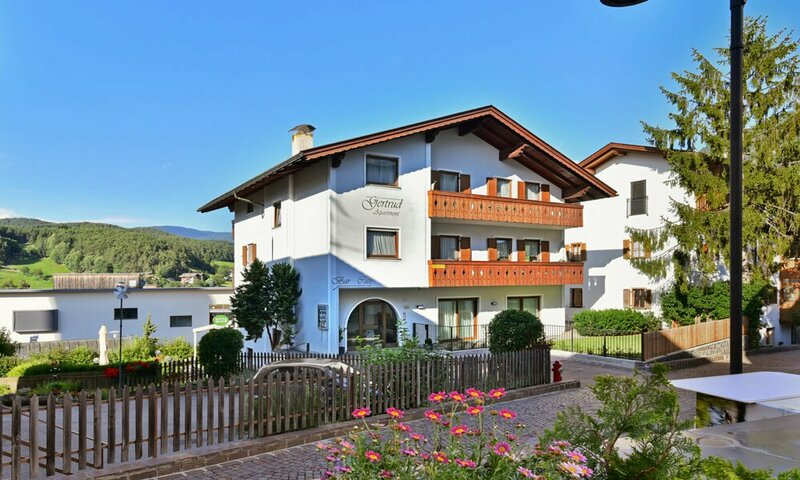 An adventure in South Tyrol is even more beautiful if you can share it with new acquaintances. 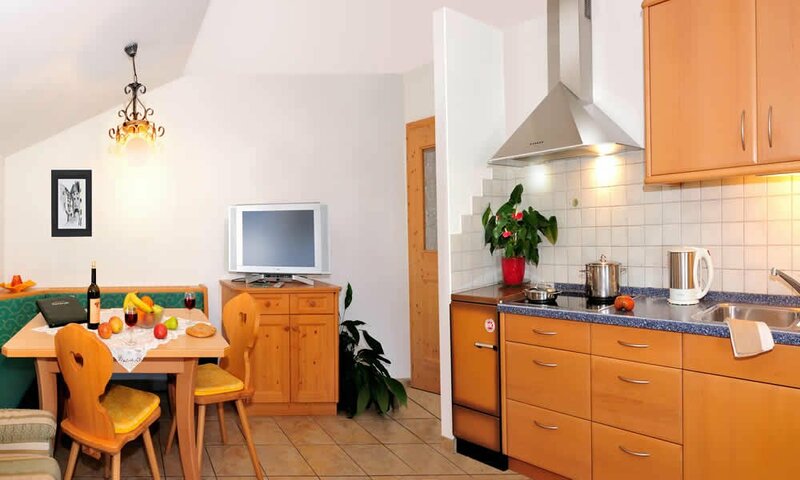 Apartments Gertrud offer cozy accommodation at moderate rates. 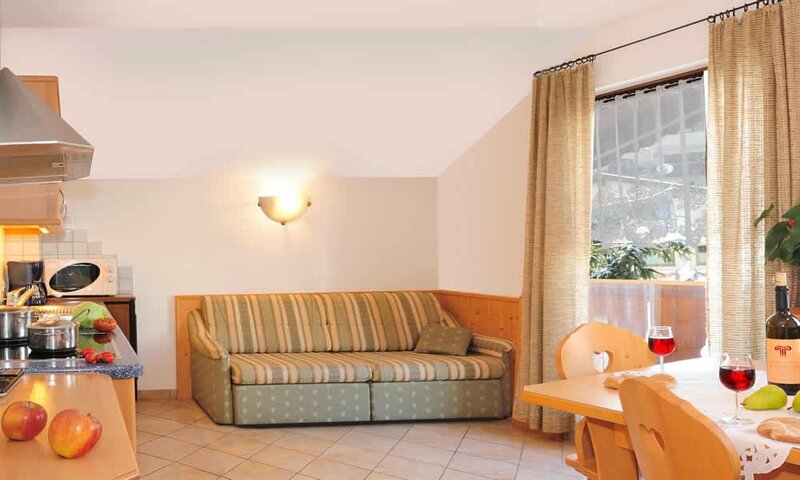 Couples will find a suitable accommodation as well as families or groups. 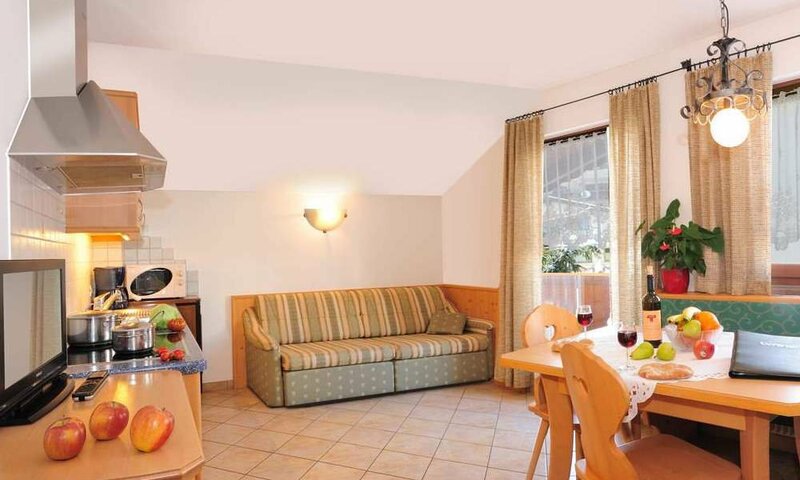 The apartments are 40 m2 each and offer space for two to four persons. The apartments are divided into a modern living room, a cozy bedroom, a bathroom and a sunny balcony. 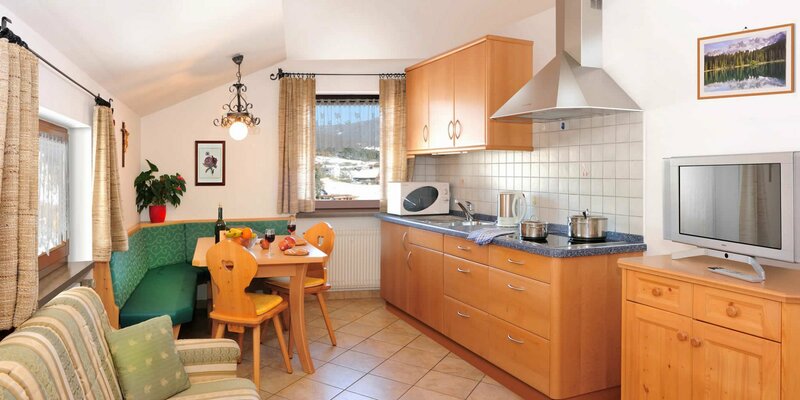 The kitchens are equipped with all the necessary and desirable utensils you need to be independent. 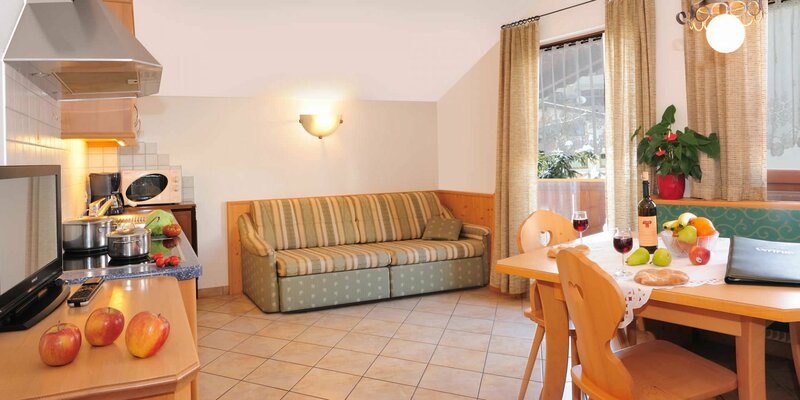 Besides the sitting area with TV you will also find a bed sofa for two people in the living area. 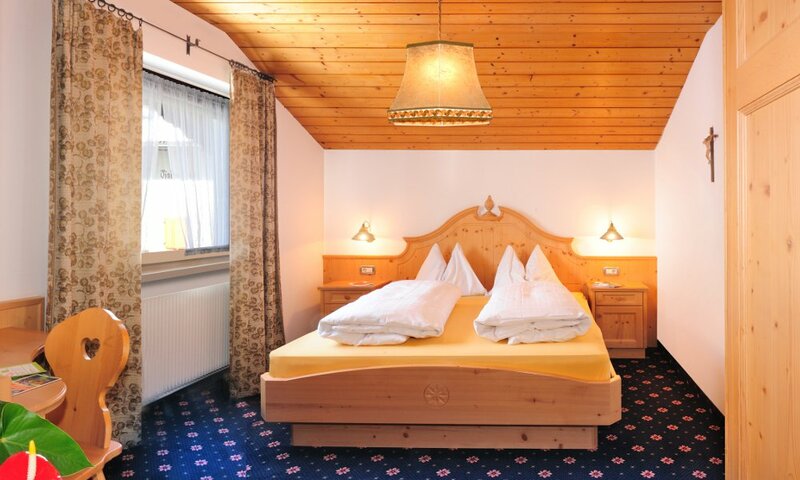 In the bedrooms you will find a comfortable double bed, where you will dream of your adventure in South Tyrol at night. 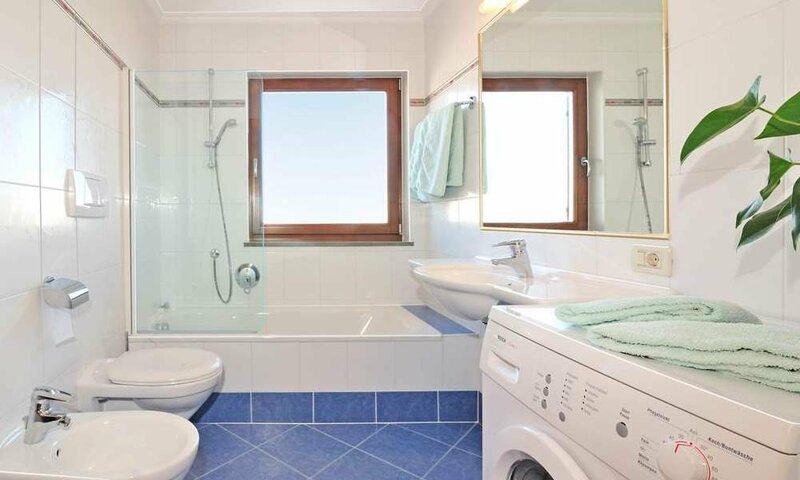 The bathrooms are equipped with shower or bathtub, sink, toilet and a large mirror.